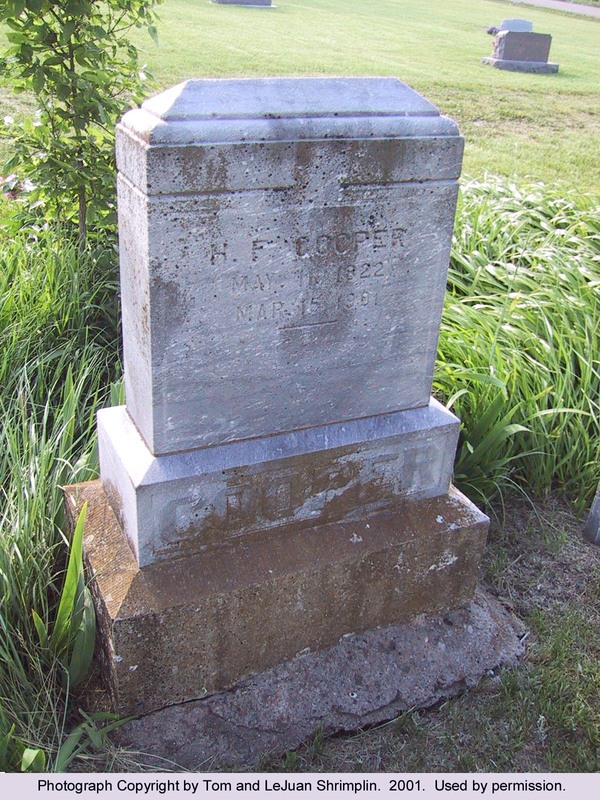 Historical Note: The earliest tombstone is for Mary Elizabeth Cooper who died 11 August 1871. 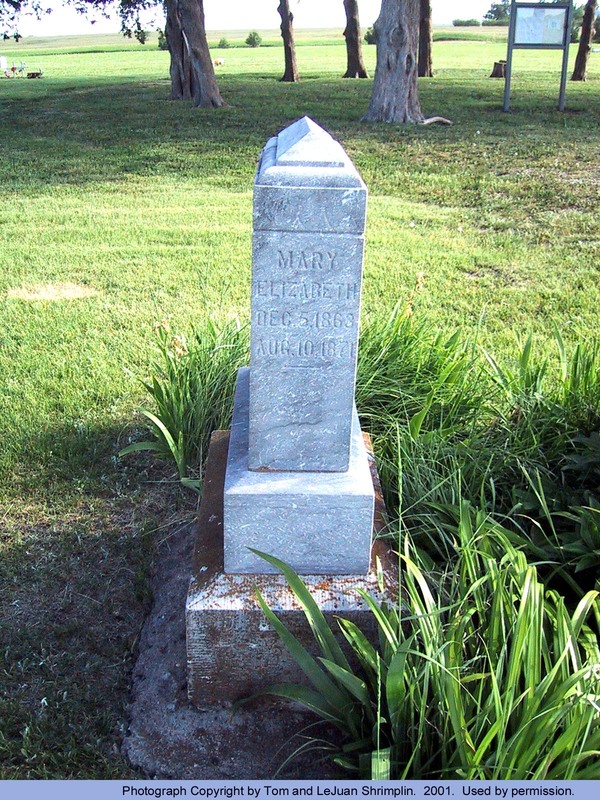 Directions: Take Tuttle Creek Boulevard (Highway 24) north to County 402, turn left (west) onto West 59th Avenue, then immediately turn right (west) onto North 52nd Street. 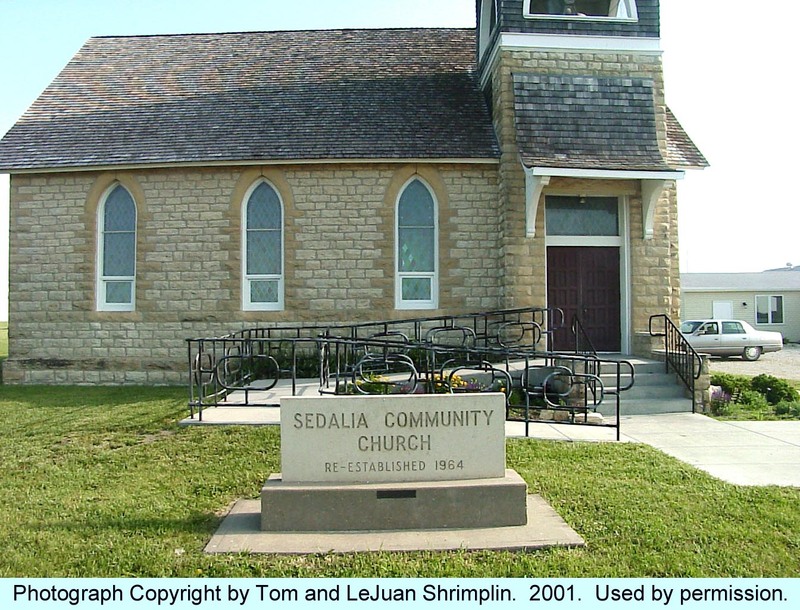 The Sedalia Church is on the northwest corner and the cemetery is to the west of the church.